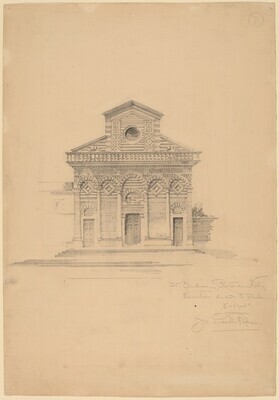 lower right in graphite: St. Andrea, Pistoia Italy. / Elevation drawn to Scale. / 1/8" = 1 foot. / John Russell Pope. ; upper right in graphite, circled: 7.